The new Porsche 981 Boxster has been reinvented by the German automaker combining classic styling cues and modern technology to create one of the most satisfying roadsters currently available. Now in its third generation, the Porsche Boxster boasts a completely overhauled chassis, lower weight, wider track, and longer wheelbase along with intelligent and efficient technology. Much of the design for the new Porsche 981 comes from historic Porsche models such as the 500 Spyder and 718 RS 60 Spyder; two mid-engined, open-top sports cars that were hugely successful in racing. Larger front air intakes, side air inlets, wings, and even headlights take inspiration from the vintage racing models. The entire profile is sleeker, benefitting from a longer wheelbase, forward shifted windshield, and shorter overhangs. A new rear spoiler automatically deploys at speeds over 75 mph for better downforce and integrates into the new LED taillights for a sporty visual appearance. An all new convertible cloth top can be electronically operated in just nine seconds and hidden away under a lid. The athletic stance of the 2013 Porsche 981 Boxster models illustrates the advanced technology hiding in the chassis to make the mid-engined roadster more dynamic. Aluminum and steel are used throughout the body to reduce weight for a more focused drive and to improve overall efficiency. Porsche Stability Management (PSM) and electromechanical steering are standard on the Porsche 981 Boxster and continuously monitors information while driving. Optionally, both Boxster 981 models can be fitted with a Porsche Torque Vectoring (PTV), Porsche Active Suspension Management (PASM), Dynamic Transmission Mounts, and a locking rear differential for improved handling dynamics. 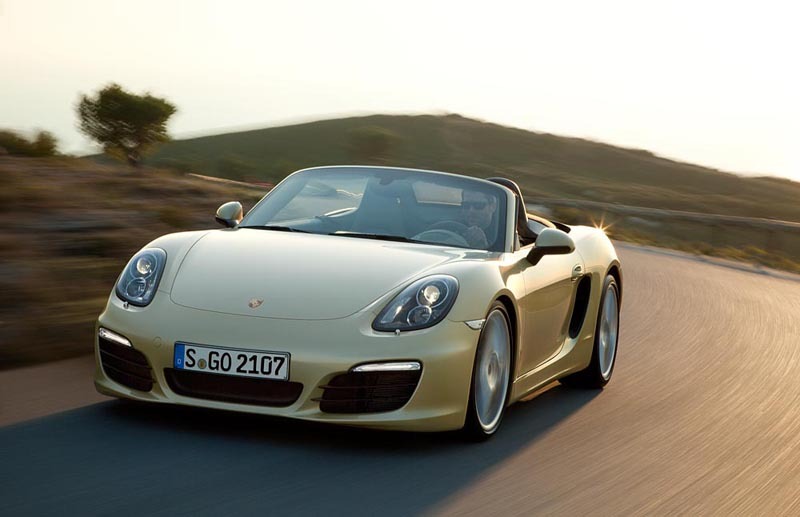 Powering both the Boxster 981 and Boxster S are a pair of efficient and powerful flat-six engines. 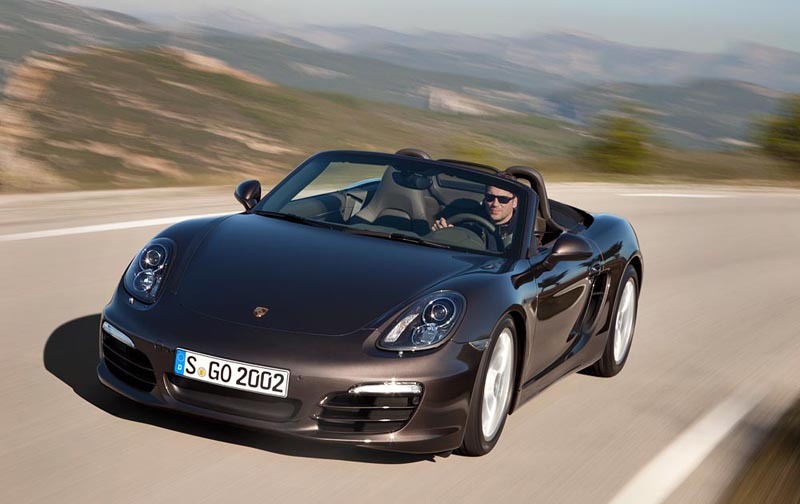 The 2013 Porsche 981 Boxster will feature a 2.7-liter engine with DFI and VarioCam Plus, producing 265 horsepower at 6,700 RPM and 206 lb-ft., while the Boxster S model is powered by a 3.4-liter engine with 315 horsepower at 6,700 RPM and 266 lb-ft. at 4,500 RPM. The standard transmission choice for the Boxster 981 will be a six-speed manual, with the seven-speed PDK dual-clutch available as an option. Both choices of engine successfully achieve 15 percent better fuel efficiency than the previous generation models. The improved efficiency can also be attributed to the use of an automatic start/stop function, and coasting feature that automatically decouples the engine to prevent an engine braking effect under no throttle input. Performance is still a selling point in the new Porsche Boxster 981. The standard Porsche 981 Boxster model is capable of reaching 60 mph in 5.5 seconds and a top speed of 164 mph with the manual, and a 5.4 to 5.2-second sprint to 60 mph with 162 mph top speed with the PDK transmission. The more powerful Boxster S model can reach 60 mph in 4.8 seconds and a 173 mph top speed with the manual and 4.7 to 4.5-second sprint to 60 mph and reach 172 mph in PDK form with or without the Sport Plus package. The entire interior of the Porsche 981 Boxster has been redesigned to focus more on the driver. Just like the new Porsche 991 911, the center console is raised, positioning the gearshifter closer to the steering wheel similar to that of the Carrera GT. Facing the driver is a new three-spoke steering wheel and traditional gauge layout. A high-res 4.6-inch TFT color screen is centrally located in the dashboard for complete and intuitive audio, navigation, and communication controls. 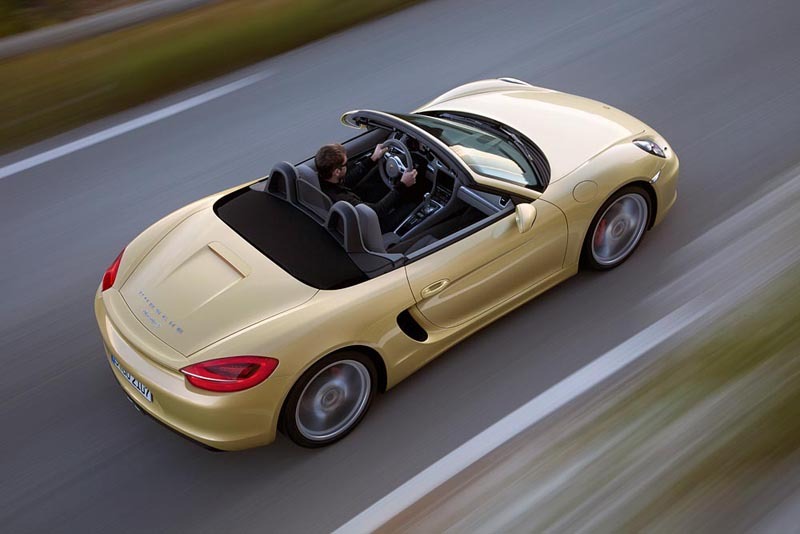 Porsche looks to build on the success of the Boxster model with the third-generation, 981-series models. Both models will be launched in mid-April of 2012 around the world. The 2013 Boxster will start at $ 49,500 for the manual and $ 52,700 for the PDK transmission, while the Boxster S will be available for $ 60,900 for the manual and $ 64,100 for PDK. 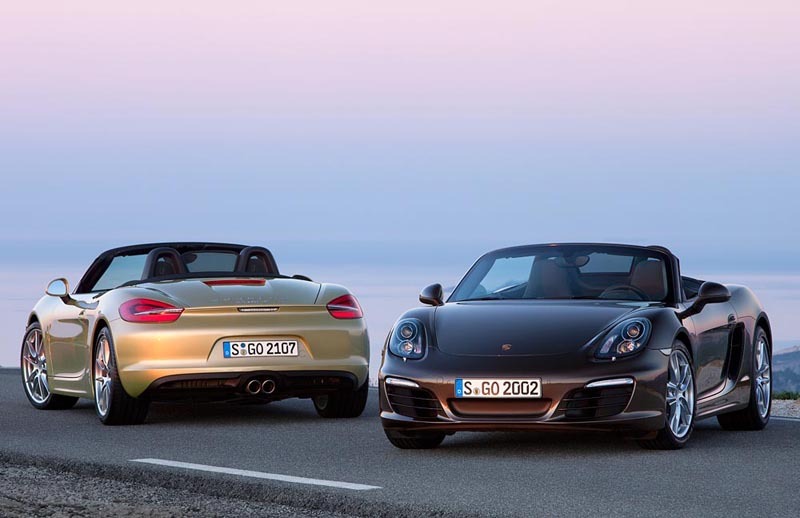 What do you think of the new third-generation Porsche 981 Boxster and Boxster S? Leave a comment and let us know!